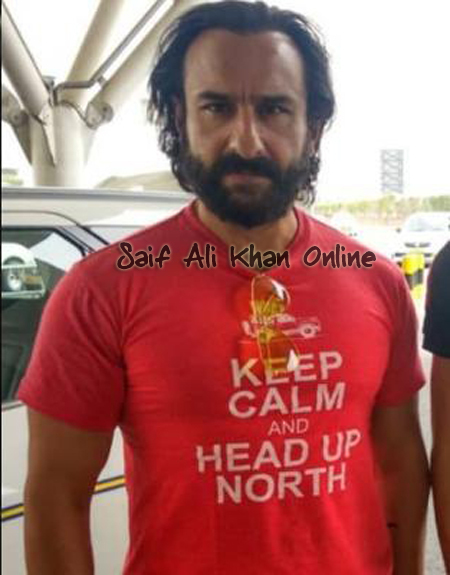 Saif Ali Khan, who is discernibly disturbed by the constant attention given to his two-year-old son Taimur, recently blurted out at the airport’s ubiquitous paparazzi. “Stop it, the child will go blind,” he said. Though everyone, including the photographers, laughed, the point of acute parental concern was made. A few days later, the cops swooped down on the paparazzi outside Saif and Kareena’s residence and asked them to disperse. 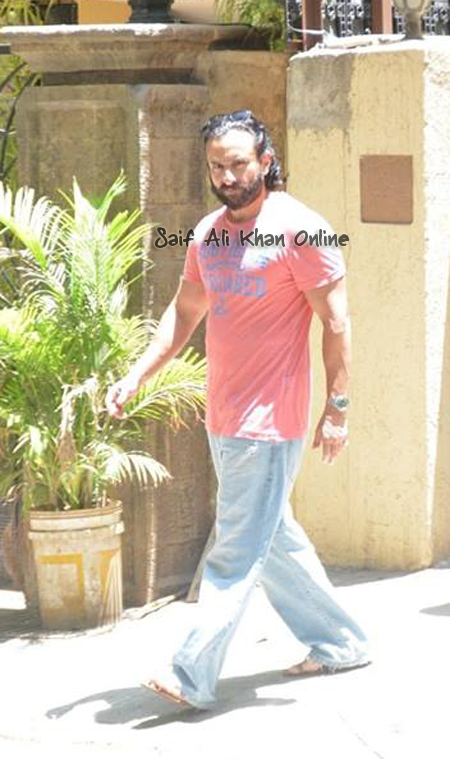 It is believed that Saif complained to the cops about the constant paparazzi attention. However, in an exclusive conversation, Saif denies having anything to do with it though he admits finding their constant presence intrusive. 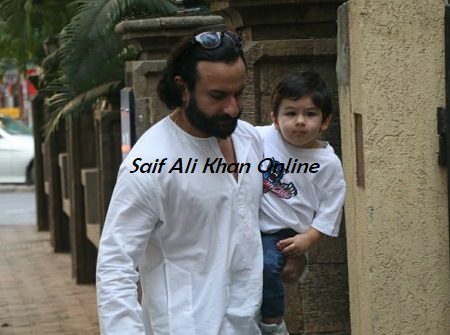 Is Madhur Bhandarkar making a film on Saif Ali Khan’s son Taimur? National Award-winning filmmaker Madhur Bhandarkar has dismissed reports that he is making a film on actor Saif Ali Khan and Kareena Kapoor Khan’s son Taimur Ali Khan.Bhandarkar was asked about it when he attended the launch of Farah Khan Ali’s book Farah Khan – A Bejewelled Life here. 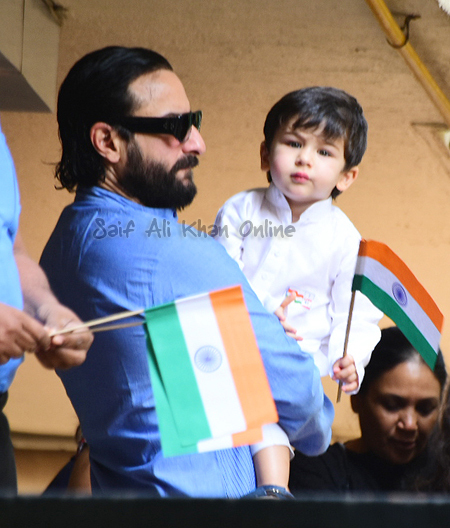 Taimur is one celebrity kid who is the blue eyed boy of the paparazzi in Mumbai, and his photographs and videos keep going viral on social media. Late last year, reports emerged that Bhandarkar had registered ‘Taimur’ as a film title, sparking rumours that a movie on the 2-year-old may be in the making. The trailer of Ajay Devgn’s De De Pyaar De sparked off a discussion about the age gap between celebrity couples. In the trailer, Ajay Devgn is seen mentioning the age difference between Bollywood’s power couple Kareena Kapoor Khan and Saif Ali Khan. 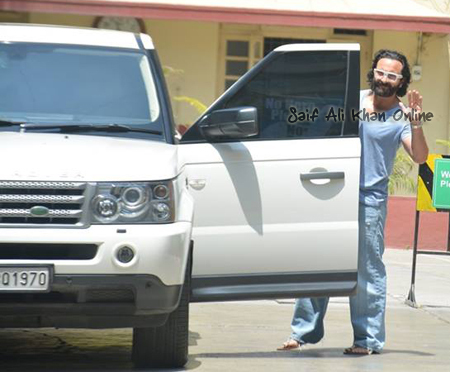 Saif also said that he is excited to see Ajay experiment with such roles. Ajay is playing the role of a 50-year-old guy in De De Pyaar De. His character in the film is divorced and is trying to date a 26-year-old girl, played by Rakul Preet Singh. Tabu is playing the role of Ajay’s ex-wife in the film. All content (information, videos, images etc) belongs to their respective owners. No copyright infringement intended.